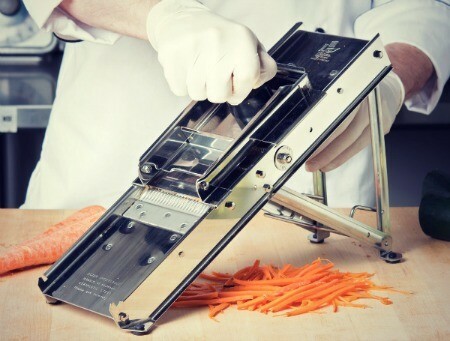 Although mandoline slicers help reduce prep time while making your meals more beautiful, your main priority when you’re operating one should be safety. 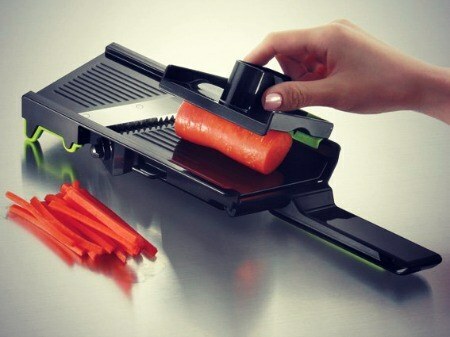 These slicers come equipped with security features that are designed to prevent accidents, but are not 100% effective. In order to maintain high safety levels and create a secure cooking environment, you have to make sure that you are working on a stable surface. You should also use cut resistant safety gloves to ensure you don’t hurt yourself if you accidentally come in contact with the blade of mandoline slicer. All mandolines consists of a similar design that features a blade and a main surface or platform. You usually operate them by placing ingredients on the main platform and using your hand to push them towards the blade repeatedly, which creates the slicing effect. 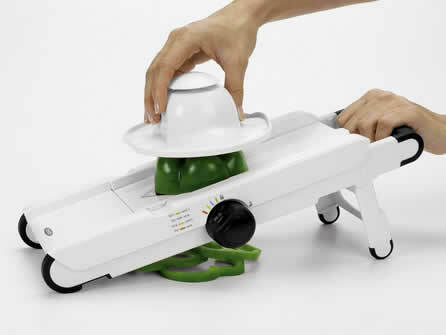 It’s easy to see why you must be extremely careful when operating a mandoline. Your fingers are in close proximity to a very sharp blade, and a simple slip can easily result in a deep cut. 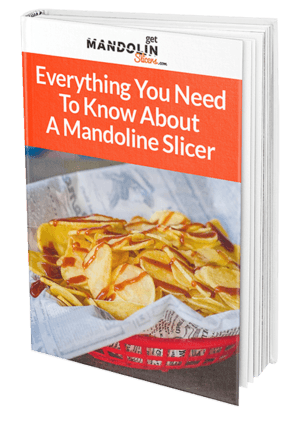 All kitchen appliances come with manuals and instruction booklets, and mandoline slicers are no exception. You have to make sure you read all instructions and safety precautions that are pertinent to your slicer. Not only will your learn any additional tricks and usage tips, but you will also find out what safety features it has available and what attachments you could purchase. Most, if not all slicers include a hand guard and they should be used every single time. The hand guards prevent your fingers from directly contacting the blade, although you may still get injured if you are not careful. Note the size of the blade and the hand guard and use them as a reference to chop your ingredients before using your slicer. Using ingredients that are too big to fit on the platform or to be used with the hand guard can put your safety at risk and damage your slicer. The best way to prevent any accidental cuts and injuries is by using cut-resistant gloves. As the name indicates, these accessories are designed to protect your hands from entering direct contact with blade by providing an additional safety layer, preventing any severe cuts. These gloves provide protection because they are made from rugged materials that can resist sharp edges. Just keep in mind that having cut-resistant gloves is not an excuse for being careless! Mandoline slicers are excellent appliances, but if you are still weary about using them, purchasing cut-resistant gloves may give you the confidence you need to operate these awesome cutting tools. 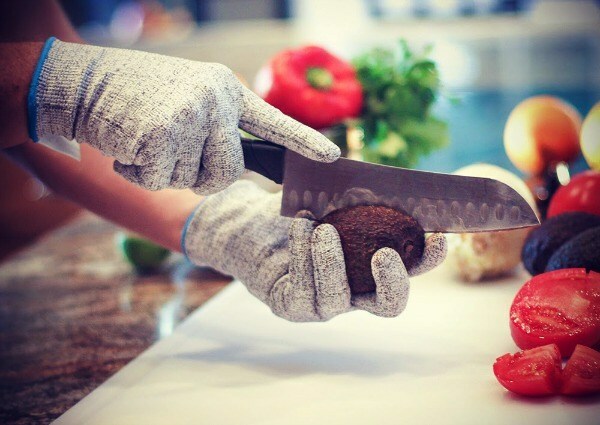 Avoid cuts and other possible injuries by using a pair of cut-resistant gloves and start enjoying the benefits of using a mandoline slicer today!